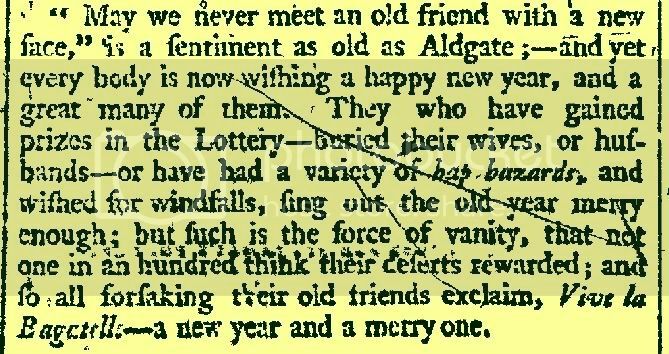 Here’s how they ushered in the new year of 1795, according to the Times of London. Vive la Bagatelle, indeed. A new year and a merry one, to one and all. This entry was posted on Wednesday, December 26th, 2007 at 8:50 pm	by pafalafaga	and is filed under Discoveries. You can follow any responses to this entry through the RSS 2.0 feed. Both comments and pings are currently closed.